A day early, here’s a prompt post for Sports Centre Saturday. 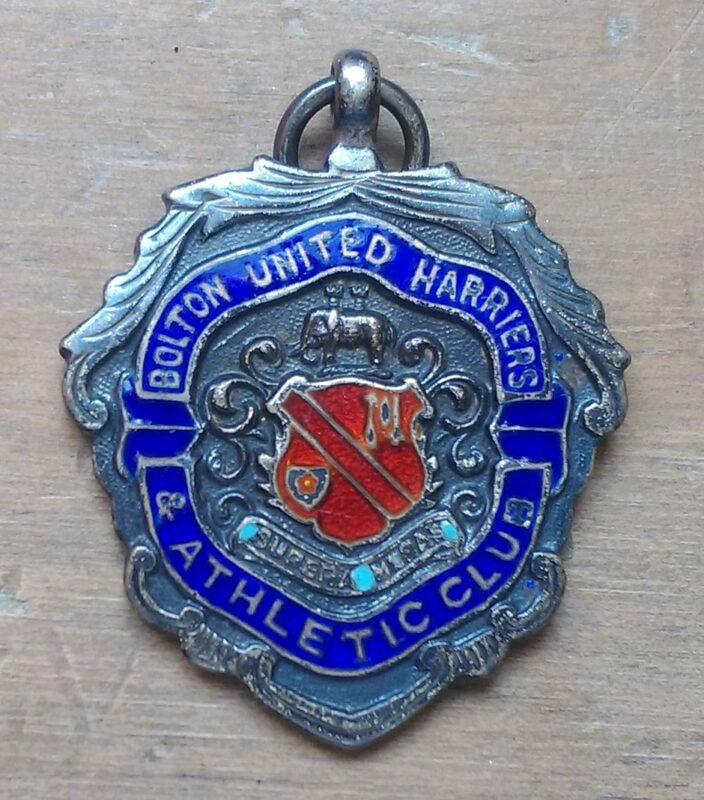 The sport in question is cycling and the sport centre (or club) is Bolton United Harriers & Athletic Club. 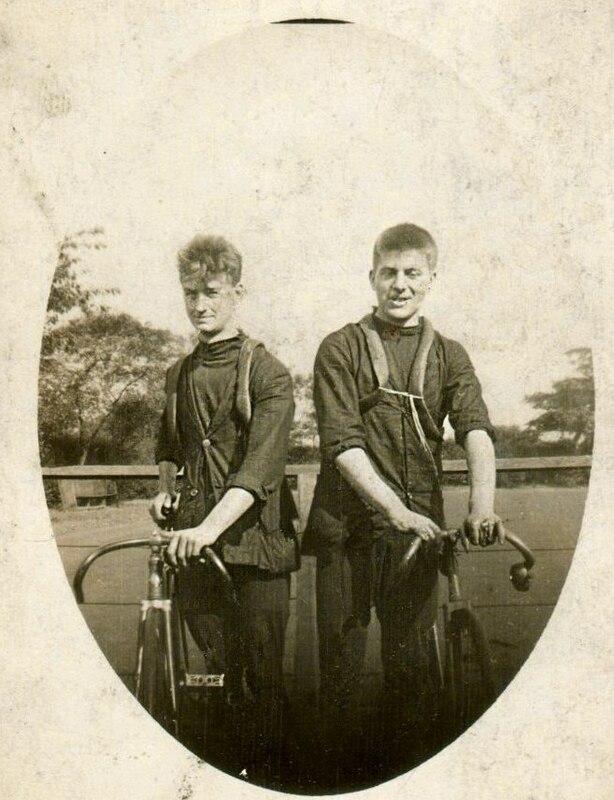 My grandparents both enjoyed cycling, but whilst for my nana and her friends it was a free way of getting from A to B, my grandad and his friends took it far more seriously. 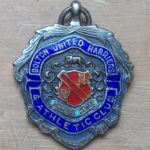 When my granddad died, I found a membership medal for Bolton United Harriers & Athletic Club, where he most likely a member in the late 1920s and/or the 1930s. 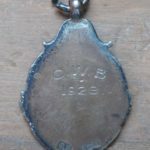 There was also another medal, this one a little is a little worse for wear and I don’t know where it was for, the only writing is “C.W.B. 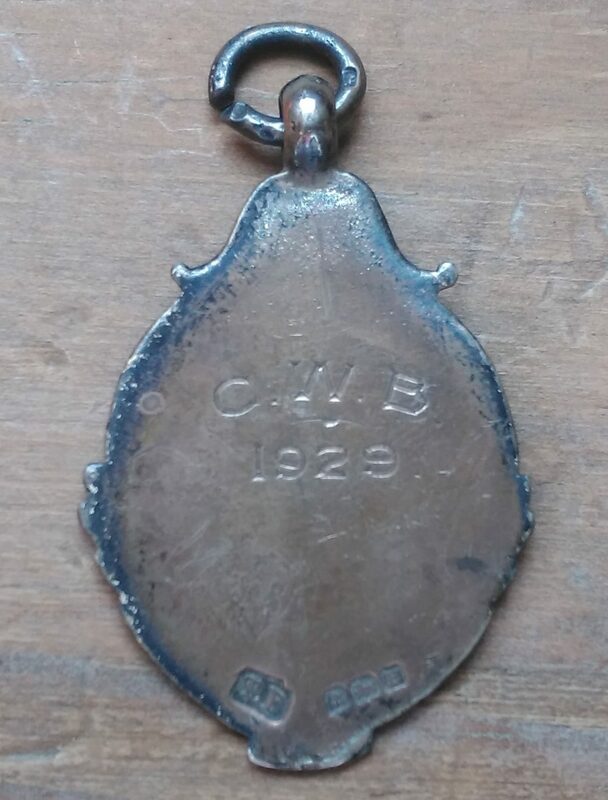 1929” engraved on the rear. The medals were in an envelope with some cycling photos. 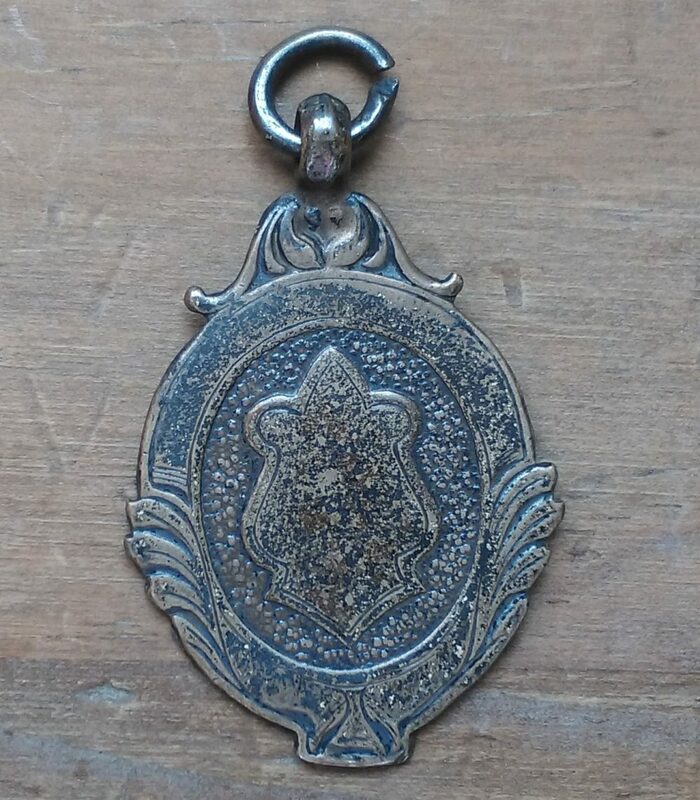 If anyone has any idea what the mystery medal is, drop me a line in the comment box below. This is one of those times when I really wish I had listened more closely to the stories my grandparents told. 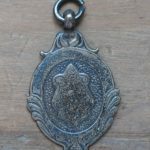 I do know that they cycled to the Guides House at Warton in Lancashire and to Rivington Barn near Bolton, as well as New Brighton and the Lake District. 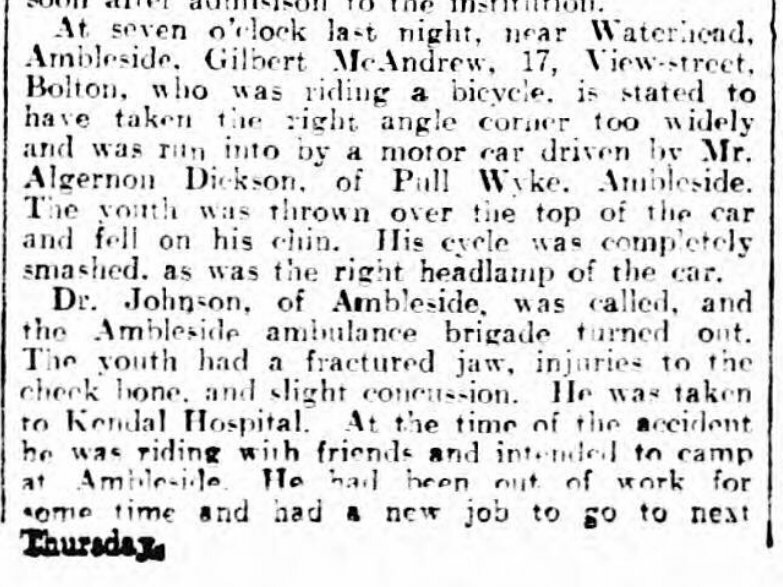 My grandad and his friends raced bicycles, and in April 1933 he was knocked off his bike in Ambleside, Cumbria after taking a corner too wide and meeting a car coming the other way. 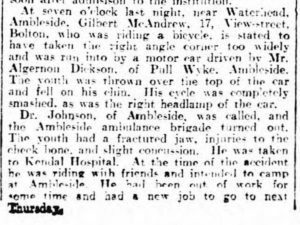 Lancashire Evening Post, 15 April 1933, article on my grandad’s accident.